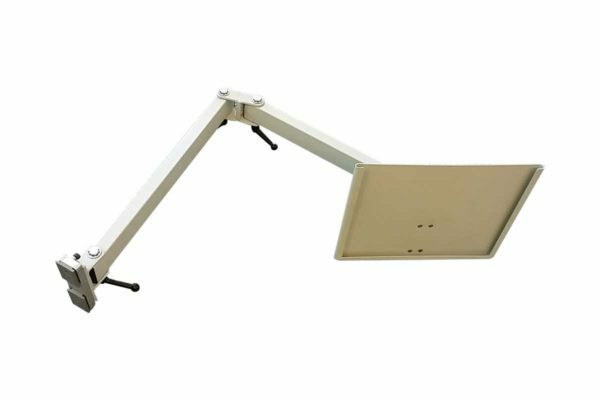 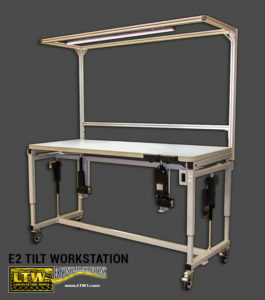 LTW’s Industrial and Electric Height-Adjustable E2 Tilt Ergonomic Workstation raises and tilts the work to you! 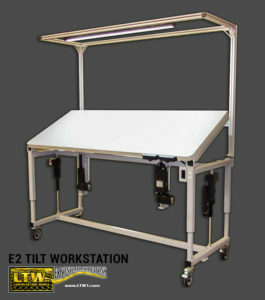 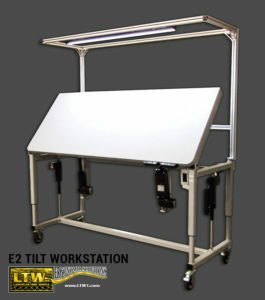 LTW E2 Tilt Ergonomic Workstations are quickly becoming very popular in the industry due to their industrial strength combined with their unique Electric Tilting Top! 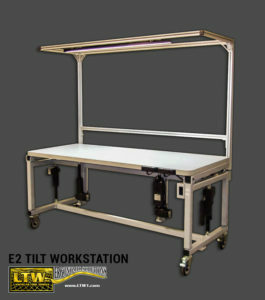 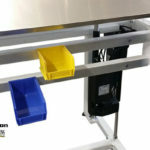 We have taken our patented E2 Base and have not only made a fully customizable workstation to fit any work environment, but have designed in an electric drive tilting table top frame! 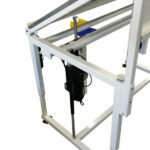 Now you can adjust the height and the angle of the products you are working on! 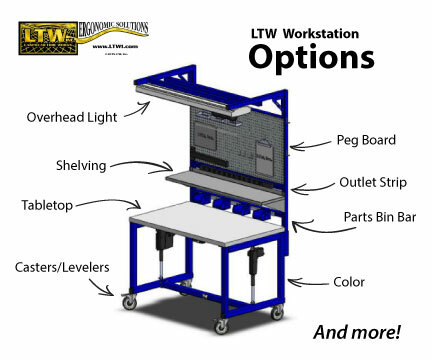 We can always customize these to fit your specific needs, so just let us know your specifications and we will make it happen for you. 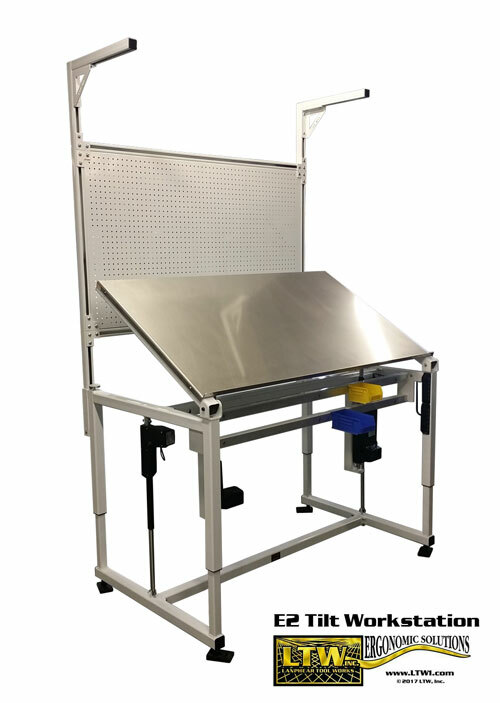 From CAD design, to quote, to manufactured and at your facility in as little as 3-4 weeks. 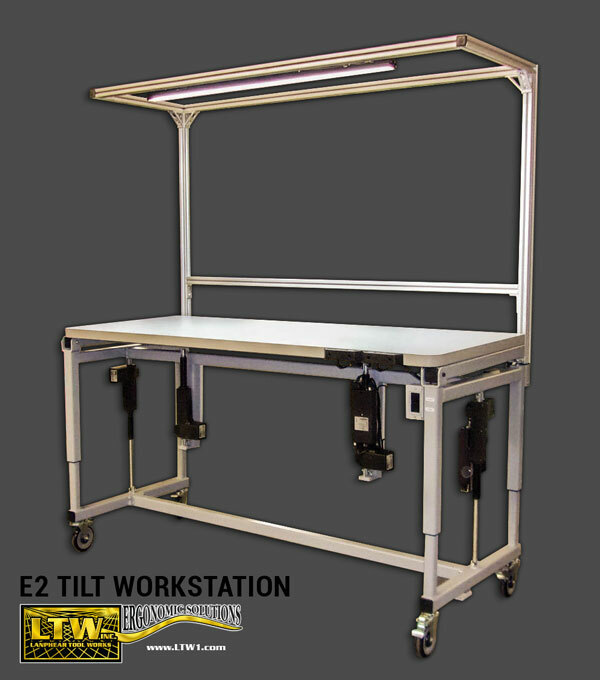 Made from Heavy Duty 7 Gage 2″ welded tube steel, these ergonomic electronically adjustable height and Tilt workstations are designed and built to handle some of the toughest industrial environments!